For decades, the maneuvering board chart has been a mainstay for solving relative motion problems. The bearing and distance marks from the center, and the convenient scales at the sides allow quick and easy plotting of course and speed vectors, and the addition of them to provide course and speed to to rendezvous, (or the necessary changes to avoid collision). It is almost indispensable if you want to fire a torpedo and expect to get a hit. 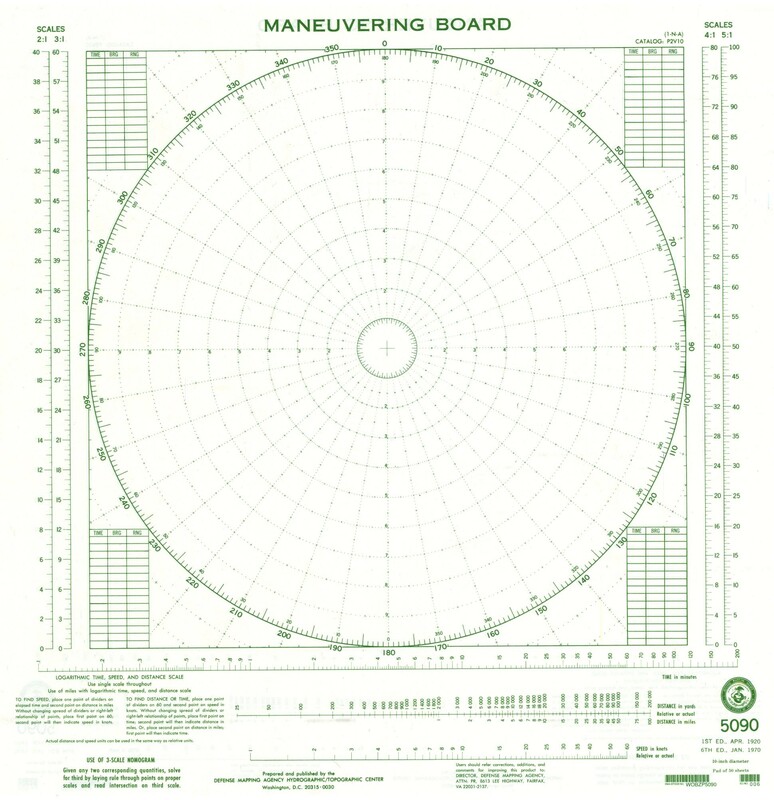 This is an exact copy of the government DMA 5090 Maneuvering Board. Pad of 50 sheets - printed both sides. Size 13x14 inches. *Maneuvering Boards are necessary material for USCG tonnage upgrade courses.